For all those making your own jacketed bullets, what is your main motivation? I just started casting as I could not find cast rifle bullets for cheaper than jacketed and wanted to save more money. Is swaging a similar money saving endeavor, or is it more pride of craftsmanship kinda deal. Speaking from complete ignorance here so no offense meant. It is hard to judge from my quick scan of this forum as swaging seems to be a "sliver" of an already niche market and there was no swaging for dummies post for me to read. Where does one start researching? I do it because I like tinkering and making things I can't find elsewhere. It's satisfying to be able to produce what the average shooter can't. It keeps me off the streets... I also like making stuff that's better than what I can buy. Considering the cost of presses and dies. It will take a lot of swaged j words to amortize the costs. I like building new skills I can pass on. Also if another shortage of components occurs I can bypass it. **** OR TETOWAKI I have a tradeable skill set. For saving money its hard to beat casting. For me is more of a hobby. I look at it like my fishing boat. Never gonna catch enough fish to pay for that boat. Same with swagging. But I enjoy making and shooting my own swagged or cast. What it allows is u to create bullets that you can not buy. Saying that, some calibers are more cost friendly and effective than others. Example, swagging 223 bullets. You can by them by the hundred for less than 8 cent a piece. Lets just say you already had a press for the job. 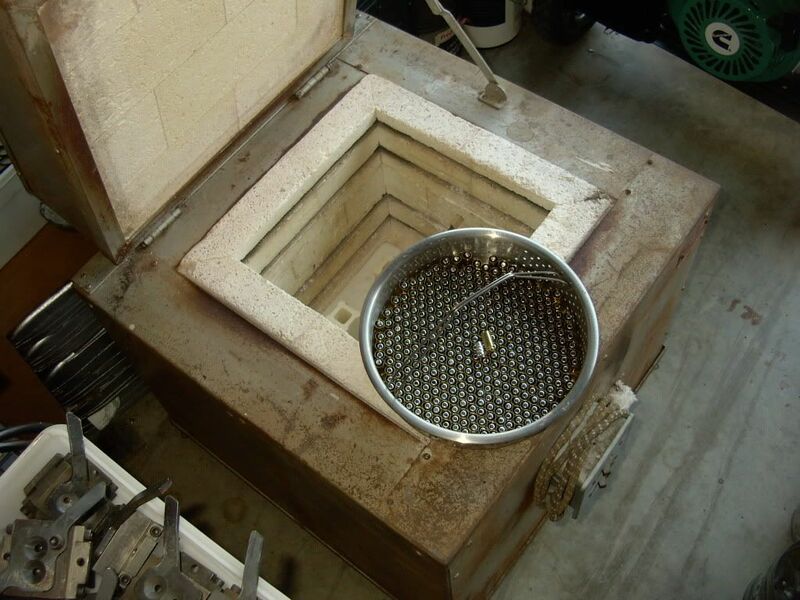 The dies and core mold would put you out around 700 -1500 depending on the maker. At best that is close to 9000 bullets you would have to make at no cost to you to break even just for the dies. Do you shoot that much? I load and shoot several thousands of rounds a year (Most of this being cast bullets) Part of my hobby. This does not include the time to make them and cost to the components (Lube, Lead, brass or bought jackets.). Now for larger or rarer calibers the break even point does not take near as many bullets. The most common and easiest to swage are the 22, 243, 30 cal, 9mm, 38/357/358, 40, 44, and the 45. The cheapest calibers to get into swaging right now are the 40/10mm and 44 cal bullets with one of BT Snipers BT one step dies. This is all considering that you will be buying the dyes. With a little knowledge if you have the tools you can make a set of dies. My personal opinion is to look at it as a hobby. I enjoy making them both cast and swagged. I do not think I will ever save any money by either. But I shore do have fun shooting a lot more than most people. Do what you enjoy. If you do not enjoy it find something you do. I know very little about swaging so I'm going to ask a question or two. How is home swaged bullets better than store bought? From what I understand you can make bullets that are cup and core or even interlocked style right? But you can't make bonded core/jacket bullets right? What about H mantle style? 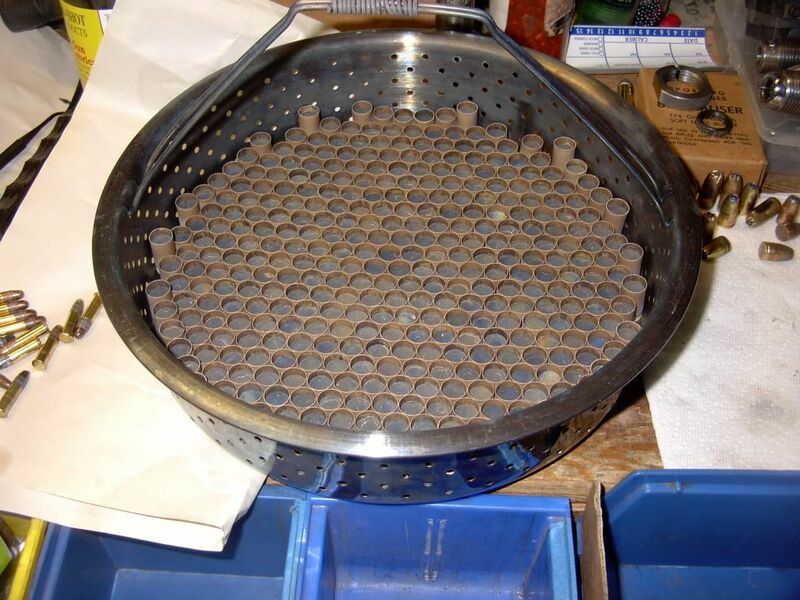 I was thinking about doing this (and this is just my own 2 cents)… I guess once I figure out how many dies I need and equipment for just one caliber-say 223, and squeeze one more "nook" in my loading room, I'll embark on this. Some bullet swagers are on the leading edge of benchrest competition. Not me though. You can buy very good bullets from the manafactures but you have no control of what they produce. They may decide today that the bullet your rifle loves is no longer profitable. the indexing of each piece you can. I'm never going to save money swaging bullets, but. It's a lot cheaper than spending the same amount of time drinking tequila. I made a run of 1,000 316.5 grain .45 bullets recently. They were consistent in weight to less than .05 grains for the run of 1000. I can't buy or cast that kind of consistency. Without much extra equipment (beyond the normal swaging stuff) making cup and core bullets, interlocked, and bonded are all fairly easy. H mantle bullets require equipment beyond most home swaging setups. My swaged bullets are bonded, and I don't use any flux. I accidentally stumbled onto a method where the core and jacket become one, and the only way to separate them is to melt the lead core away from the jacket. I just anneal the jackets and cores already put together at a temperature of 1,125 degrees F, and let them set over night in the kiln. Evidently, the high temperature and long soak bond them together. I enjoy shooting sage rats every spring with bullets I made myself. Even though my 20 practical shooting 32 grain Hornady v-max bullets at 4100fps my be more accurate, I get a great feeling of pride and satisfaction making the same shots with a 223 rem shooting my bullets made from scrap 22lr brass. It is that feeling that I enjoy most vs. any factory bullet I may have ever shot. Same goes for my successful big game hunts where I have taken two mule deer and one elk with bullets I made myself. The fact that you are not only reloading the ammo but also making the projectile too ...... well the feeling of satisfaction I get from that is why I continue no matter how much time or money is invested. When you stop learning you are dying. Say hello and like my FB page as well. Good shooting and swage on! Thanks for the replies to my query, that's mighty interesting. I've been wanting to get into swaging but money to get started is the hinderance for me. its is definatly not to save money. I like knowing I have a way to make my own for my high power rifles, cast just dont cut it at the fps they need. out here a lot of shots are out to 300 yards or better. A lot of people talk about it’s not about saving money... that is and isn’t a true statement at the same time. I do look at it as paying up front. But then you do find the next thing or option you need to try or progress into. I bought Brian’s Simple .224/.22lr and did 10k with a lee HAND press, before buying a Blackmon press. Long story short, I can shoot .223/5.56 cheaper than .22lr now. But I’ve also progressed into different dies and accessories that I’ve take. 5.7x28 into the same situation for me. Better consistency than factory if you’re familiar with the round, taken from $0.50 to $0.07 per round for me. I can shoot that all summer and not stress it. My situation: winter is completely wasted on me, so that is my swaging and reloading period. When the wife shoots, my army buddies need a range day, or I just need to let off steam, I don’t stress dumping a $30 PS90 50 round magazine in as short of time as possible. It opens up my range days to how it was when I was back in the army, I can focus on improving fundamentals, because I’m not worried about cost, and I have an “unlimited” supply, regardless how much I have made/reloaded. I’m not a prepper, and by fall, my stock pile is all but depleted. Then the process starts over. The only challenges I have, are the backfilling of warm out brass in certain calibers, the availability of my powders and primers, and beating my competition to my lead supplier. 3 years into this hobby, I won’t sell any ammo, I don’t want that liability. My buddies come and help on assorted processes, hoping to get them to make investment tostart on calibers I’m not doing. Make it a community effort. Again, I’m still looking at my next want. I still looking at it as paying up front, by no means “saving money”. Generally the larger and more eccentric calibers will have faster turn around on investment but I do it for enjoyment as it is one more process to self-sufficiency. Thanks for the replies, I appreciate the insight. Jacket made from 5/16 Copper Tubing is about $0.08 for each jacket. Corbin CSP-1 Swage Press is about $750.00. You would have to make about 6,700 of the 175 SMK's to break even on your purchase for that bullet. Heavier bullets, breakeven comes much quicker. If you make multiple weights of bullets; then quicker - but allows far greater freedom in bullet choice; such as If I wanted for some reason a 183 grain bullet, I could Make It but could not buy it. 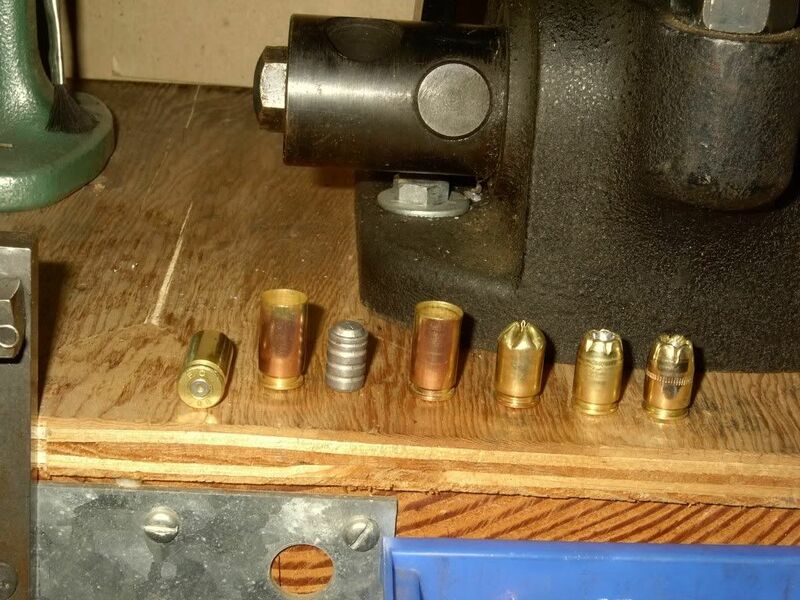 Additionally, the press is useable in other calibers if you decide to do so; such as making .224's I make them for nothing but time as the 22LR/17HMR/22Mag are free and I collect lead for free from time to time. Not for everyone; but the best reason for swaging your own bullets is "I LIKE DOING SO". I started swaging myself because My dad did it and I learned how from standing underfoot. When I started I wanted to make sure that I would always have something to shoot. since then there have been several "shortages" that did not effect me because I could make my own. I pray the day never comes that I have to shoot only what I can make, but sometimes I wonder if that day is not just around the corner. "let's go. He ain't hittin' nothin'.".... "You IDIOT, he's hit everything he's aimed at!" But this not Kraft about shooting its about the hobby and skill. I would hazzard a gusset that their are fewer than 4 thousand people on the planet that have the skill and patience to do it. I do not cast or reload to make MONEY or save it. I do it because I enjoy it.